We’ve seen news and advertising stuff from about the 2012 Ford Focus for a reasonable amount of time now yet the number of them that’s actually on the street is still pretty limited. To be fair, the Mark III Ford Focus has only been launched on the market at the beginning of last month, so it’s not really anybody’s fault. 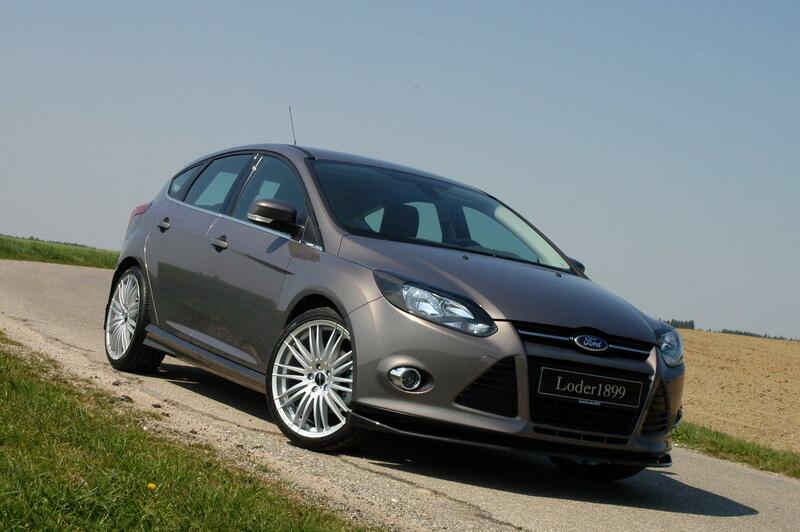 Somehow, even despite the relative rarity of the 2012 Ford Focus, some owners are still interested in making theirs be that little bit more individualistic. 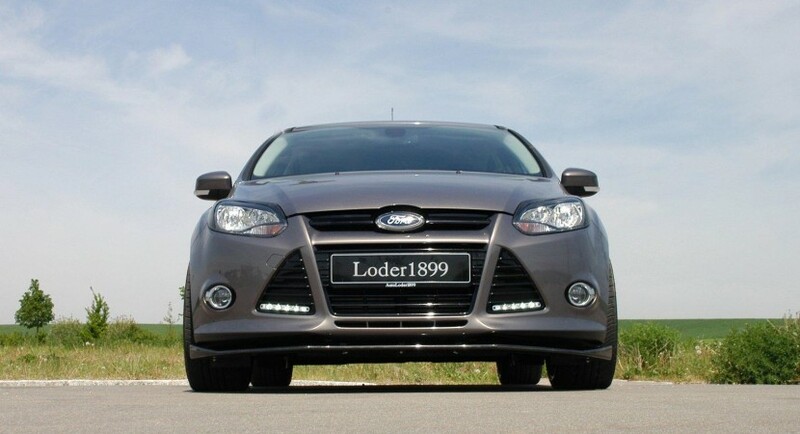 Enter Loder1899, one of the tuning companies that foresees the common sight the third generation Focus will eventually be and one which prepared an antidote for just this occasion. It seems that the petrol powered cars (in Europe at least) are rare enough on their own so Loder1899 decided to throw all their tuning expertise at the diesel engined version. Specifically, the 2.0 liter TDCi turbocharged four cylinder diesel engine. 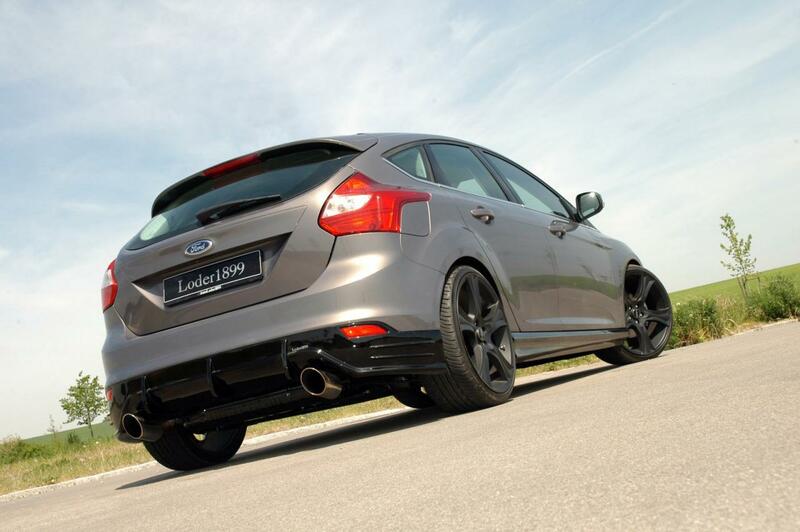 Whereas the standard spec version would develop 140 horsepower and 236 lb-ft of torque, the Loder1899 tuned version 195 horsepower and 291 lb-ft of twisting force. Getting this sort of oomph from a diesel engine, even in tuned form, would encourage people to consider this an actual performance vehicle and who could blame them. A new stainless-steel dual exhaust was added. 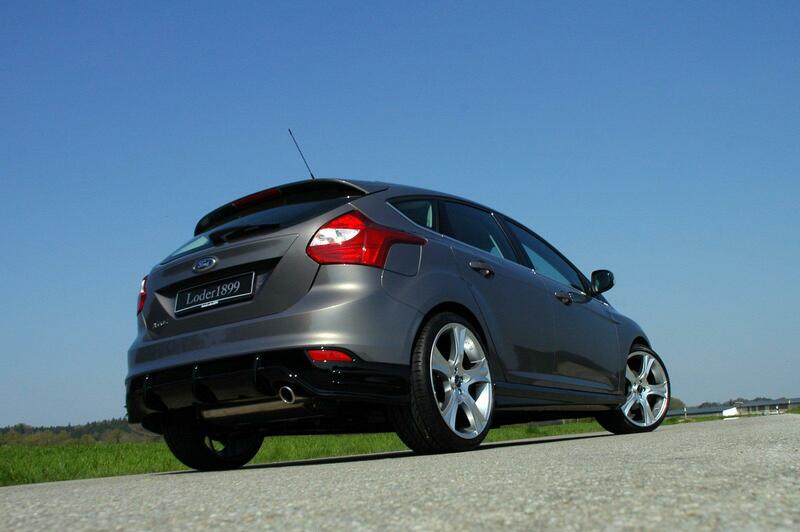 It will help the engine breathe better and hide some of that unpleasant sounding noise coming from under the bonnet. On the appearance front Load1899 proved themselves as a tuner with potential but slightly missing the mark. The new RS-style body kit is decent looking and as is the selection of wheels available but the color and the headlight arrangement doesn’t really fit in well. The selection of wheels is broader than you’d expect, including sizes from 18 to 20 inches with various spoke designs and colors. All the work they put into trying to attain a “matte” effect and the new carbon fiber headlamp covers simply make the car look cheap. Looking cheap however isn’t really the same as being cheap. 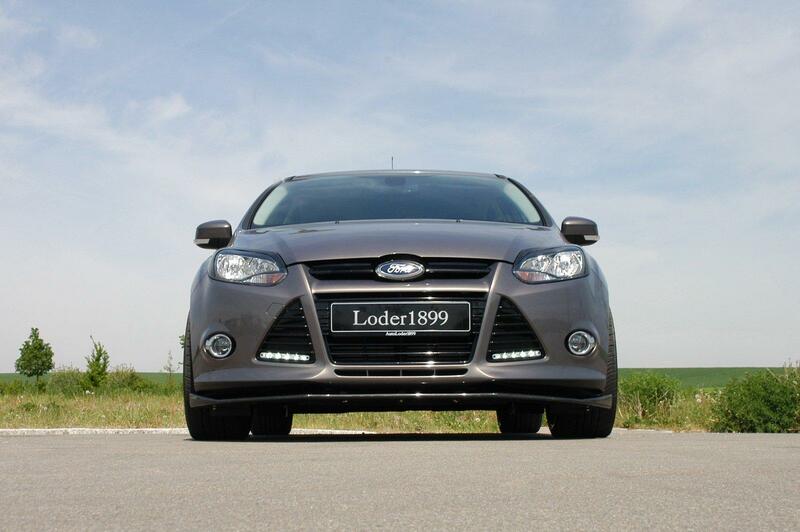 Based on the premise that exclusivity comes at a cost, Loder1899 will charge you at least €27.695 for a 2012 Ford Focus with this sort of tuning applied (car is included). Given today’s exchange rates that’s around $40.500 which seems like quite the sum to pay for a diesel Ford Focus, even if it is a hot mark III version. Perhaps the incorporated daytime running lights will be part of cheering you up about the bill.